Madigan: She knows there’s something going on. She doesn’t know it’s me though. Ken stares down at his hands in his lap. Madigan: What are you going to do about it? Ken: Maybe we should cool it for a while. Madigan: Probably a good idea. Ken: But I don’t want to. Ken: I’m thinking about leaving her. Madigan: Don’t do it for me. Ken: Why not? I want to be with you. Madigan: (staring at him) It would destroy Barb and you know it. Ken: Don’t you want to be with me? Madigan: Not at the expense of my sister. This was never supposed to go beyond one time. I think we should just end it and cut our losses. Madigan: (looking out the window) This will be our last time. Categories: fiction, Scecond Seat on the Right | Tags: cheating, Flash Fiction, guilt, infidelity, Ken, Madigan, marriage, micro fiction, scene, short fiction | Permalink. 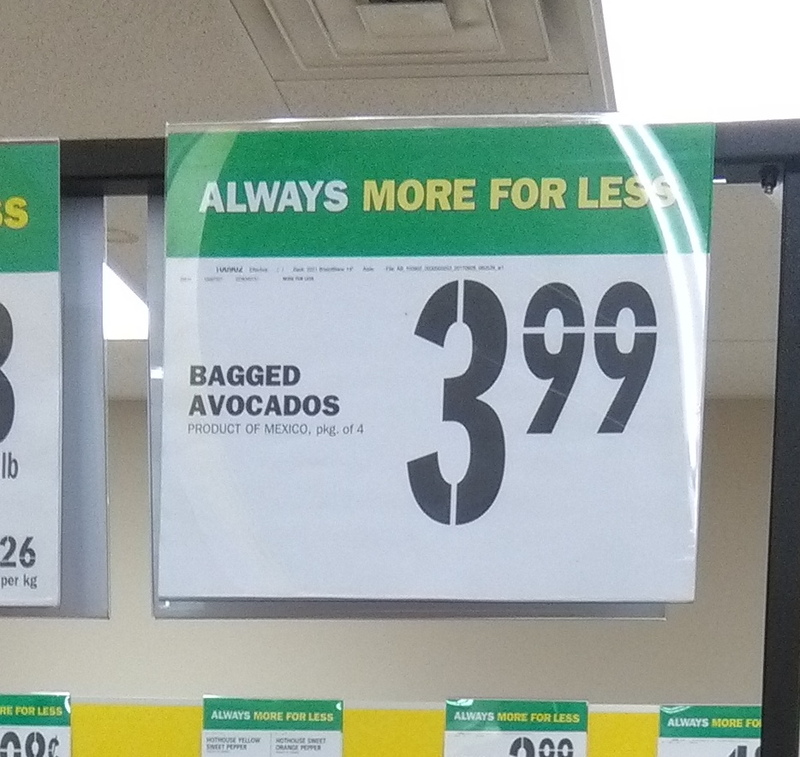 The avocados on sale today were exhausted. Totally bagged, in fact. 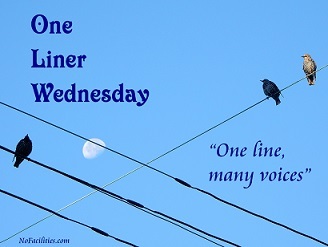 Categories: Blogging, Blogs, Funny, One-Liner Wednesday, Prompt, Random | Tags: #1linerWeds, grocery store signs, Humor, humour, inspiration, signs, WordPress, writing prompt | Permalink.